The beauty of belonging to a mom’s group or having friends who are moms is that they feel your pain. Oh, you can’t go out for brunch like y’all had planned because your little angel is throwing a tantrum, pooped all over themselves, and needs a bath? No worries, Ma. I got you covered. We’ll brunch next week. You’re worried that your daughter’s demonic noise is an actual demon inside of her? Thanks, Mom friends, I now know she’s just figuring out her voice. No demons as of yet, except the one that makes her personality. Just kidding. My kid rocks. The trouble with mom friends, however, is that sometimes they try and one-up you. Not like, “Oh! I’m so excited and had to share, but my daughter started walking today!” Nah, I get that. And even if I get jealous that my kid has yet to walk, they’re just sharing their good news so I’m happy for them. No, I’m talking about the mom friends who aren’t really friends– they’re soul suckers whose children have the be good at everything. The best at everything. They’re the helicopter moms who complain to the teacher when their child gets a 99 instead of a 100 because “is misspelling ‘diamond’ really worth a whole point off? '” I’m projecting. “Hey, giiirllll.” You know the Competition of One-Uppers (I’m not feeling very clever) is about to begin. You see the smug smile from across the room. The pretentious wave– you know, four fingers fluttering and lips pursed? Little do you know, that wave is the predator luring you into a false sense of security. You know you’re in their web, however, when that prolonged “giiirllllll” ripples slowly out of their mouths, like a hot stew being poured onto your lap. At times, it can be replaced with a “Maaaaama” and a chuckle. This, ladies and gentlemen, is a one-upper. “Super, Doris.” Notice I don’t ask how her child is. Because. I. Don’t. Care. “Oh, that’s super-duper for Bex-Bex. My daughter just learned to make demon sounds, so I’m super proud! Tell Bex-Bex to get ready for it, it’ll scare the pants off of her.” Then wave the four-fingers, smirk, and strut away with your little demon. Look, I try very hard not to judge other moms for their decisions and how they raise their kids. I really do. But please, please, please don’t be this mom. Absolutely share how proud you are of your child. Milestones are huge! Share, share, share! And be honest. If a mom has asked you if your kid has walked and she has, say she has! There is a code, though. One child’s successes do not set the bar for another child’s failures, especially in the infant stage. Once their in college, let them push each other down the staircase to get roles (Showgirls). Obviously, I’m kidding. Let your child’s own progress determine their successs, but push them to work hard and be the best they can. 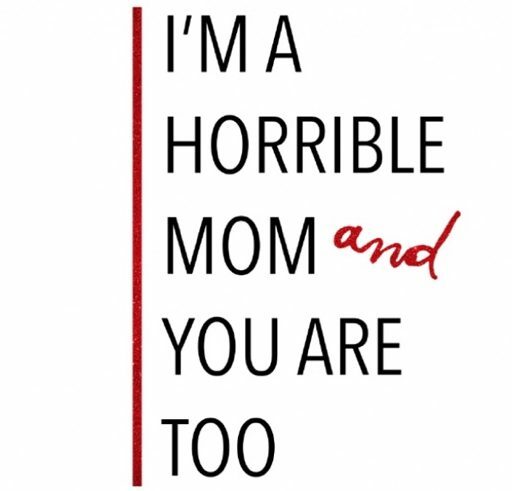 If a mom does this to you, you don’t have to be horrible mom like I am. Don’t be antagonistic. Look, Princess Bexley of Nottinghamshirepost is going to have a hard enough time with a name like that. Just smile and nod and walk away. Then have your child chase her child making demon sounds.